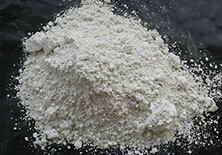 Calcium carbonate is an inorganic compound, the main component of limestone and calcite. It is divided into two categories: heavy calcium carbonate and precipitated calcium carbonate. Due to the differences of the particle size, crystal form, and the nature of interface between heavy calcium carbonate and precipitated calcium carbonate, their features are vastly different. And benefit from its properties, calcium carbonate are widely used in many industries, such as it can be used in paper making, plastric production, medicines, chmical industries, nano calcium industry and coating industry, etc. Firstly, limestones from the quarry are selected by hands, clearing the gangue. 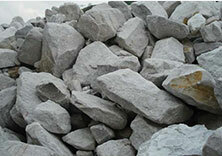 Next, limestones are fed to crushers and be crushed to small particles. 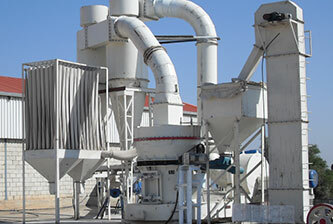 Then calcium carbonate grinding mill is used to produce fine limestone powder. Finally qulified products are separated from the mill and are collected by the collecter installed at the end of the production line. Calcining the raw materials such as limestone to generate lime (ingredient for calcium oxide); then adding water to digest lime to generate lime milk (ingredient for calcium hydroxide) and then passing into the carbon dioxide carbide lime milk for calcium carbonate precipitation; lastly, the calcium carbonate precipitation by dehydration, drying and crushing system to get light calcium carbonate. In the soda ash adding calcium chloride aqueous solution, the calcium carbonate can generate precipitation. In the process of producing caustic soda (NaOH), can be a by-product of light calcium carbonate. Adding lime hydrate in soda ash aqueous calcium carbonate can generate precipitation, and get the caustic soda solution at the same time, lastly the precipitation of calcium carbonate by dehydration, drying and crushing system to get light calcium carbonate. 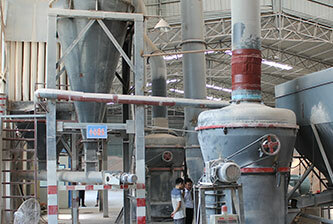 In the process of producing soda ash, by-product light calcium carbonate can be obtained. Saturated salt water with carbon dioxide for carbonation after inhaling ammonia, and then get the heavy alkali (sodium bicarbonate) precipitation and ammonium chloride solution. Light calcium carbonate production technology is mainly divided into the following steps: 1.the limestone calcinations 2.quick lime digestion 3.lime water carbonated 4.sedimentation and filtration 5.drying and crushing.